See below for a map of locations where some victims died, and here for a map that also indexes the names of victims. 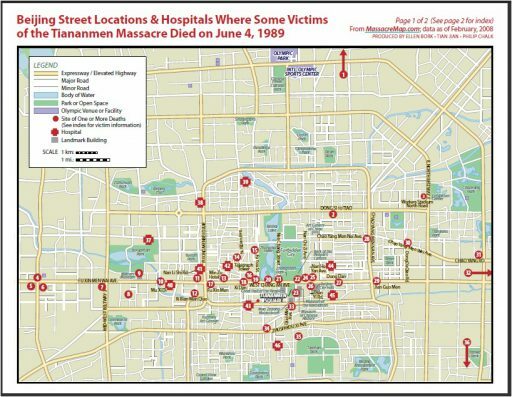 The list of known victims, arranged by the street and hospital locations on the map, is assembled in a document here. The Chinese-language version of this name list can be found on the site of the Tiananmen Mothers here. Copyright © 2015 Chinese Human Rights Defenders. All Rights Reserved.